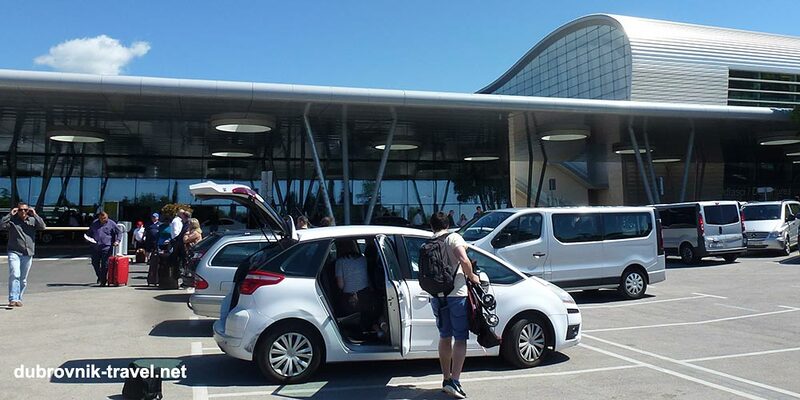 Transport to and from Dubrovnik airport is well organized. It is a busy hub from where there are several options you can choose for travelling to or from. 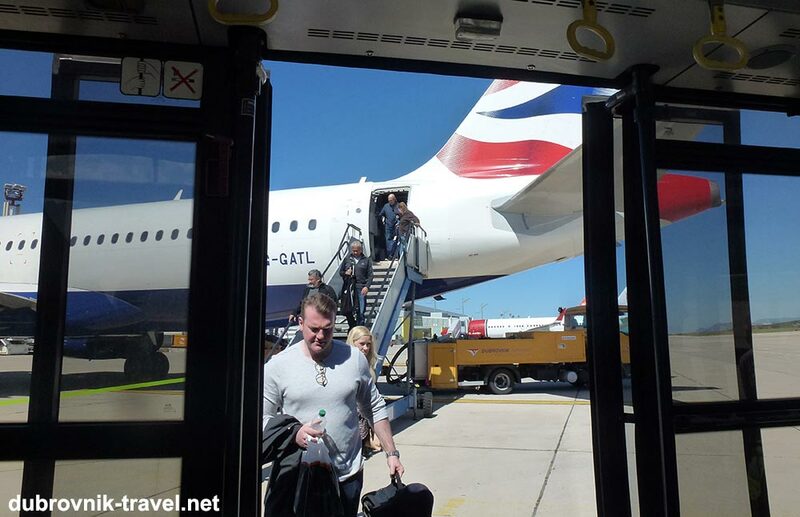 Dubrovnik Airport does not have a train station so getting to and from Dubrovnik involves either taking a shuttle bus, taxi(cab) service or pre-arranged transfer to Dubrovnik town centre. 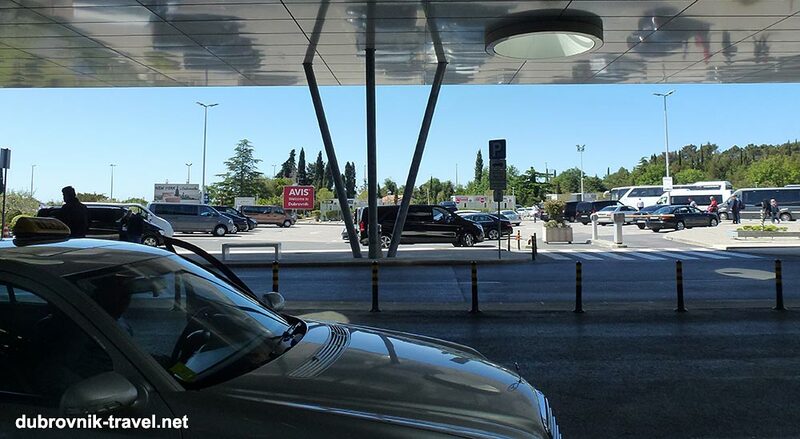 The recently introduced non-stop airport shuttle service to and from Dubrovnik Airport, calling along the way at the Pile, Old Town bus stop, ferry port and Dubrovnik’s main bus terminal makes travelling to and from Dubrovnik Airport to the Old Town pretty simple. Bus shuttle services operate the Dubrovnik Airport to central Dubrovnik bus service for each flight’s arrival or departure, 7 days a week all year round. The bus will take you into the heart of Dubrovnik for 40 Kuna (only £5) one way (see below my recent ticket). 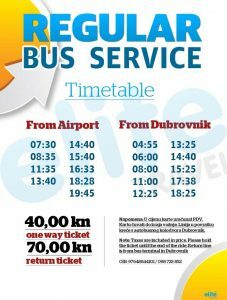 As bus prices are only now 6 Euro one-way this is the cheapest way to travel to and from Dubrovnik Airport. Note, you can now book a ticket online in advance and I would suggest you do that to make sure you get your place on the bus. Also, don’t worry if your flight arrives early or late, a bus will still wait for the flight regardless of flight delays. Taxi station is right in front of the airport’s main entrance. From there you can easily get a taxi to your destination. The cost of a taxi to the town is about 200 kuna. You can also take Uber from there, it will work out bit cheaper. Above photo: getting into the minicab on the airport – cars, taxies, minibuses and buses are all waiting for passengers right in front of the main entrance of the airport. It is very easy to get one there. It takes just about 50 meters to reach your transport while carrying suitcases or bags. If you want to save some money on your transport, you can also consider taking 5 euro bus shuttle from the airport to the town (check here) and from there take a taxi to your accommodation. If you stay near the Old Town, Ploce or in Lapad, get off the bus in Pile. If you are staying near Gruz or Kono, get off the bus in the main bus terminal. Right next to both stations there is also a taxi rank (see the map) from where you can take a short taxi ride to your destination. You can also get Uber from there which works out just a bit cheaper. The total cost of this mode of transport should be up to 15 Euro. Numerous companies offer pre-booked shared or private transfers from the airport to the town and back to the airport. Regarding your possible further travels, if you intend to travel further away from Dubrovnik the main bus station or ferry terminal are the staring points.